Our game hides are primarily from wild game and some domestic game ranch sources. Game hides are graded dependant on size and imperfections. Select grade will be limited in imperfections such as skinning cuts and holes. TR (tannery run) grade will be subject to natural range marks, skinning cuts and holes with Gloving Utility grade having the most imperfections. Moose hides average 25-35 sq ft, Elk hides average from 15-20 square feet while Deer Skin will range from 8-10 square feet. These hides will be primarily available in Gold with Deer Skin also available in black & white. 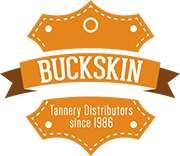 Typically, this material is used for all types of Buckskins including native dress, black powder, pants, shirts, hunting gear, taxidermy mounts, beading and crafts. These skins are light weight 2 to 3 oz and average 8-12 sqft in size . Colors available in gold, saddle tan, chocolate, black and white as well as some bright colors like red, turquoise and blue. Please check with our warehouse for current colors in stock as they will are limited in availability. 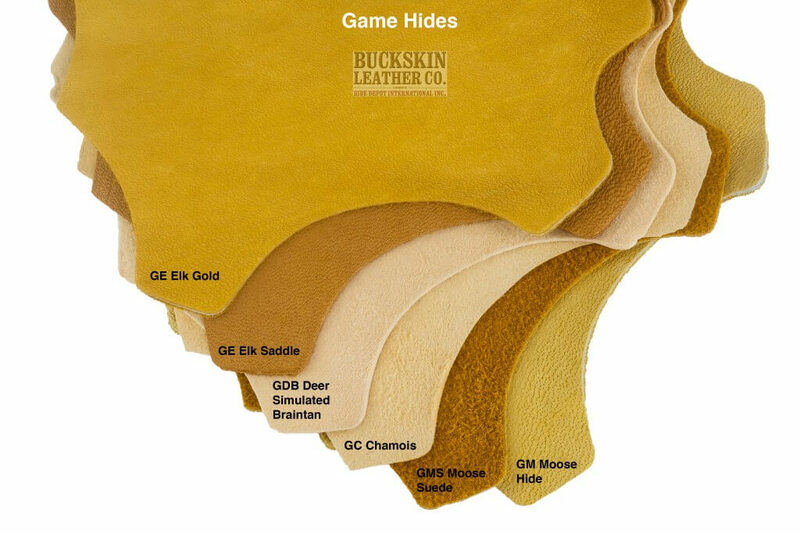 Our elk skin hides average 15-20 sq. ft. in size and are available in traditional gold, palomino, saddle tan and gold. White is also available on a limited basis. This leather will be heavier in about 3-4 oz weight. Our moose skins hides are 15-35 sq. ft. in size depending on whether they are in half or whole hides. Weight is heavier in about 4 oz and color will be natural gold only. 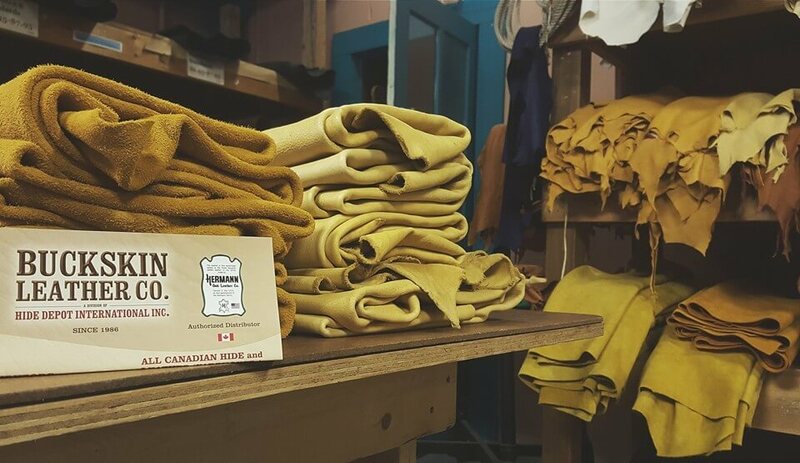 We stock both full grain as well as split suede moose hide. The split suede is the second layer and is soft in a deep gold color. Both are ideal for moccasin and mukluk use as well as tradition native clothing. Due to increased environmental restrictions, most game hide tanneries have closed over the past few years in North America. 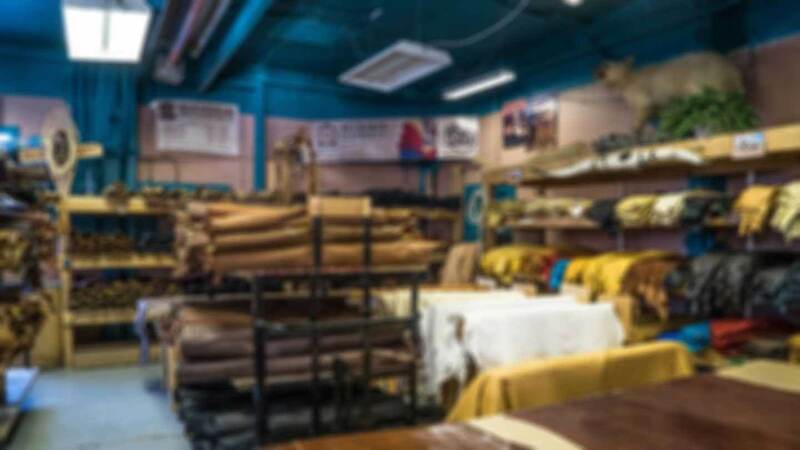 The lack of custom tanners for hunters to bring their hides to for tanning has now resulted in a shortage of game rawhides as most game hides are now left to waste . It has become challenging to source and find good supply of game hides which is already seasonal in its nature. For this reason, please contact our warehouse directly for current stock availability and pricing. Note USA customers: Wild game hides are subject to U.S Fish & Wildlife inspections and applicable fees. 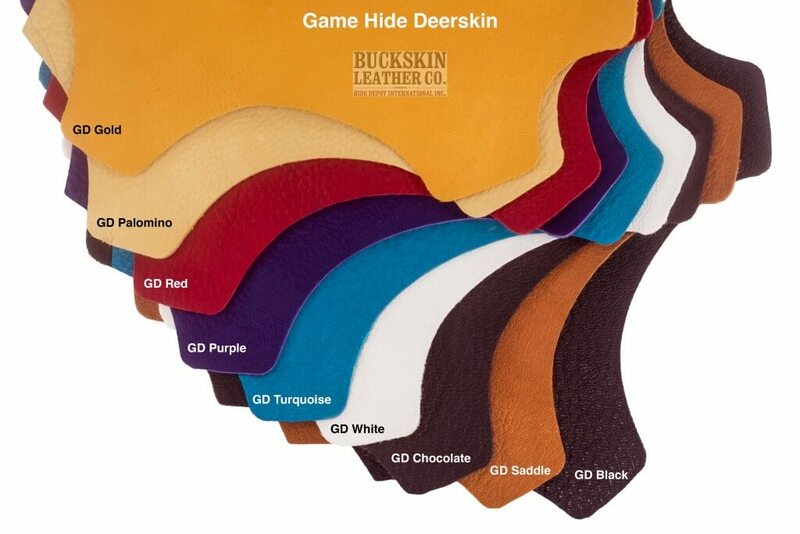 We suggest ordering similar “Cowhide Deertan Natural Garment”, to avoid additional inspection fees, refer under fashion garment leather section for details.